In 1994 proposals were submitted to the Tory government, which if implemented would deliver to the RAF, by 1998 a “state of the art” surveillance and reconnaissance plane replacing an increasingly unreliable fleet of clapped out Nimrods. An alternative option, to purchase excellent well tested aircraft “off the shelf” from the USA was rejected. The MOD were determined the UK should build a new aircraft from scratch. The outcome was the “well trumpeted” all British super duper, “Spy in the Sky” Nimrod MRA4 surveillance and reconnaissance plane. The hype promoted was that the new all British plane would be a unique, world class, multi role platform aircraft which, in addition to completing traditional maritime roles, would also have intelligence gathering capabilities, crucial in a troubled world. In 1996 the MoD signed a contract with BAE, to build 21 Nimrod spy planes. This was later reduced to 12 and later still to nine. Then, in 2010 the multi-million pound Nimrod MRA4 surveillance and reconnaissance planes project was scrapped in the defence review by the Con-Dem government. 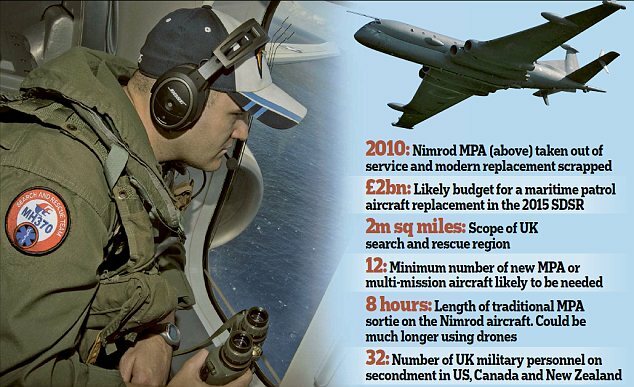 The Nimrod MRA4 development programme had been in place for nearly 15 years. At the time of cancellation finance in excess of £5bn had been spent and this was written off. Approximately 2000 BAE and other workers were also laid off in consequence of the cancellation. 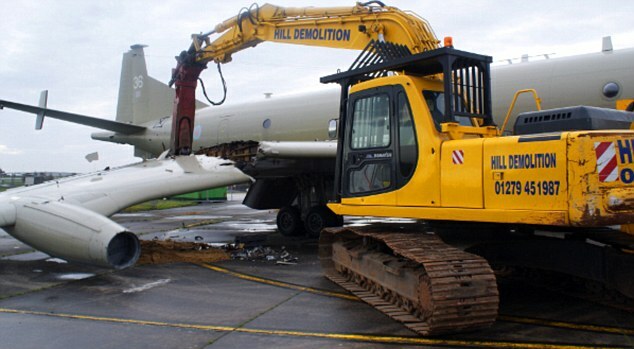 In an open letter to the Times signed by; (Marshal of the RAF Lord Craig, Major General Julian Thompson, Air Vice-Marshal Tony Mason, Major General Patrick Cordingley, Admiral Sir John “Sandy” Woodward and Air Commodore Andrew Lambert) they warned that scrapping the RAF’s Nimrod surveillance aircraft has left a “massive gap” in UK security. A giant ponzie scheme rip off ? But there is another version of the truth providing the real reason why the Nimrod MRA4 was cancelled? It is a pity Mr Hammond did not expand upon “would never be certified”, given the Government had hitherto implied the Nimrod MRA4 had been cancelled to save money. This made no sense, given nearly £5Bn had already been sunk. Gradually, through similar comments, the real truth has been confirmed. 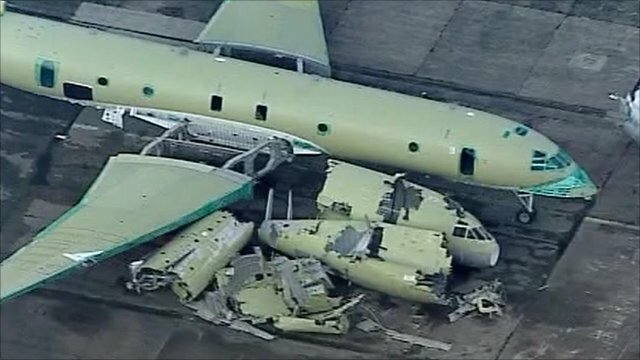 The Nimrod MRA4 could never be certified as airworthy due to legacy systemic airworthiness failures. A fact that became clearer by the day after notification to senior MoD staffs in 1994. So there it is. The new Nimrod would never have been granted a airworthiness certificate allowing it to be introduced into service. And this information was known to the Tory Government in 1994. Why then was a £ multi-billion contract awarded to BAE in 1996. If the contract cancellation was, as advanced by Hammond truly a “savings measure” then that would, perhaps, be sufficient reason not to hold a public inquiry into the £5Bn. But the latest admission that the aircraft could never be certified warrants a full inquiry into the conduct of the programme. The (mandatory) Post Project Evaluation (PPE) report, confirmed that the aircraft could never be declared airworthy. PPE references Project History Sheets and it should be possible to identify exactly when this information was recorded, by whom and what was done with the information. A public inquiry would be able to ask why the programme was allowed to proceed fruitlessly for another 15 or so years. But inconvenient facts are usually well buried by MoD. And in this case also by the Tory Government, given who was in power when the problems were notified and ignored. Something Kevan Jones wasn’t quite knowledgeable enough about when Hammond misled Parliament. Misleading Parliament? Isn’t that a serious transgression under the Ministerial Code of Conduct? Ah, but it doesn’t apply when there are senior people to be protected. The levels of incompetence and deceit are breathtaking but I expect this one might end up lost in the long grass. What might have been but never was. A Nimrod monitoring a Russian nuclear submarine But dream on The Nimrod was the plane that never flew. Is that the same USA we gave all our Harrier jump jets to? Yup! We sold off fully operational Harriers to the USA for a pittance providing parts keeping the American Fleet in the air for 10-15 years beyond the planned date of withdrawal from service saving them many £ billions. That’s what the Special Relationship is all about. They should have been deployed to Scotland providing some air cover for Faslane. Meanwhile many people are really struggling just to get by and have been for a long time under liebour and con/dem lot. I do not think ukok, or the US give a stuff whether Scotland is protected militarily, even with their disgusting, life ending for a long long time, nukes parked here, against the will of the majority of people in Scotland. An avid Labour friend of mine reckons it will be climate change that will be our downfall, not nukes. I beg to differ, and of course he is in denial that trident and other wmd’s parked here against the will of the people, is a huge crime on the people of Scotland. Which other country would put up with this kind of occupation?